Arduinos, Velcro, ODROIDS, Sensors, and a glue gun — the making of an AoT node. 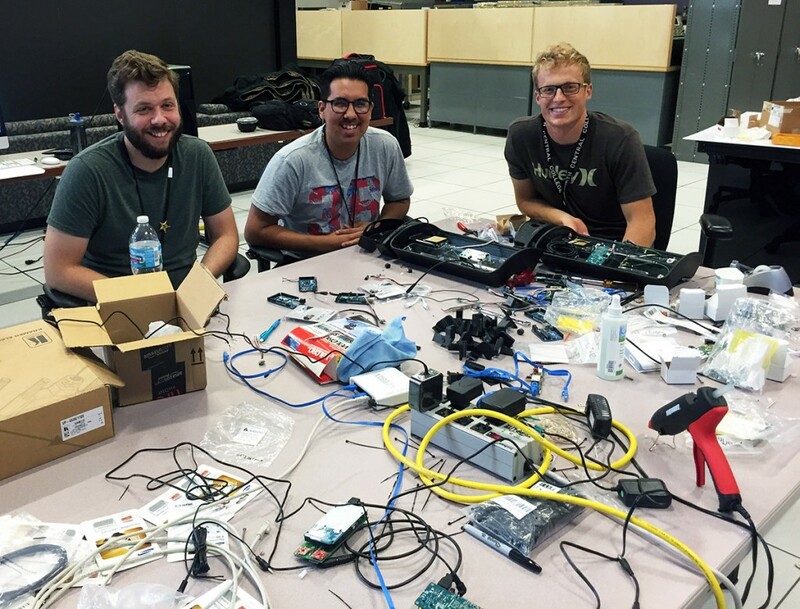 Mike Papka‘s students from the Northern Illinois University computer science department and North Central College have been busy building the next deployment of Waggle-based Array of Things nodes on for the UChicago campus. The first batch of nodes designed by the School of the Art Institute of Chicago has been on campus for a couple of months. The university wrote a short news article about the deployment.